Queen Letizia and King Felipe VI of Spain attend a dinner given by Mexican President Enrique Peña Nieto and his wife First Lady Angelica Rivera at National Palace on June 29, 2015 in Mexico City, Mexico. 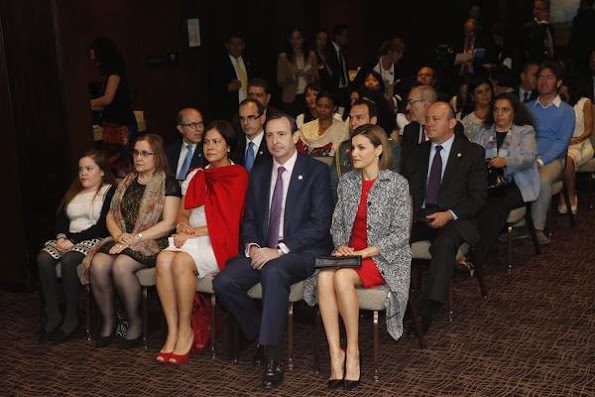 The Spanish Monarchs are in their second state visit since the proclamation of Felipe VI as Spanish King last June 19th of 2014. 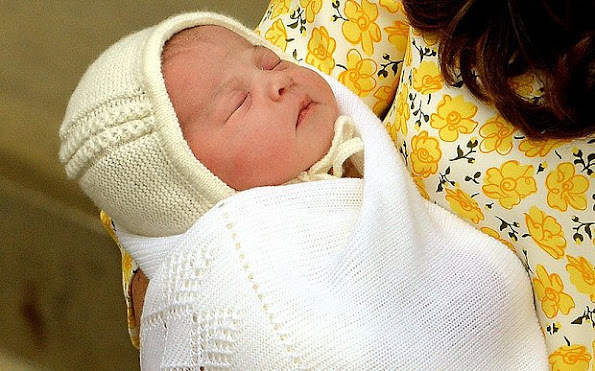 As expected, The Queen will attend the christening of Princess Charlotte of Cambridge. The baptism takes place this Sunday, July 5th, at the church of St Mary Magdalene on the Sandringham Estate. 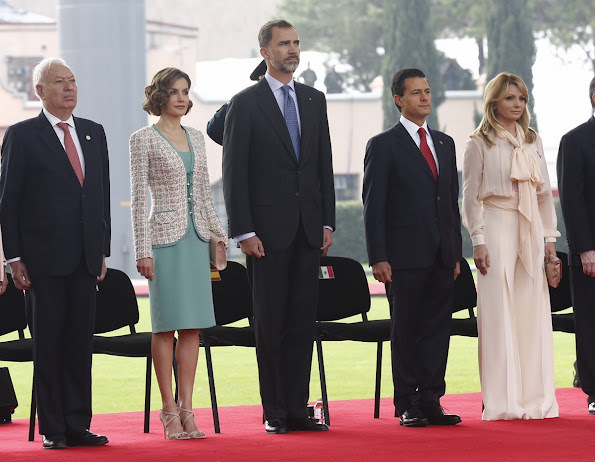 King Felipe VI of Spain and Queen Letizia of Spain, Enrique Peña Nieto, President of Mexico and Angelica Rivera, First Lady of Mexico, during a reception given by Mexican President Enrique Peña Nieto and his wife First Lady Angelica Rivera at Campo Marte on June 29, 2015 in Mexico City, Mexico. 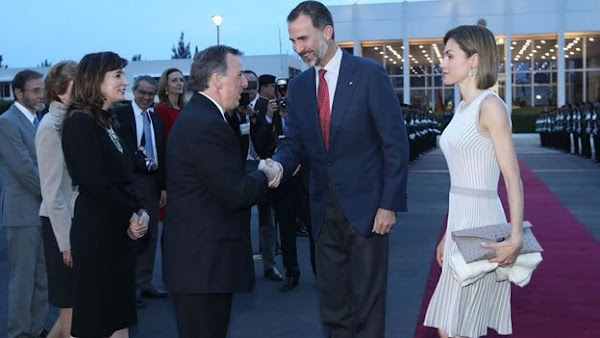 The Spanish Monarchs are in their second state visit since the proclamation of Felipe VI as Spanish King last June 19th of 2014. 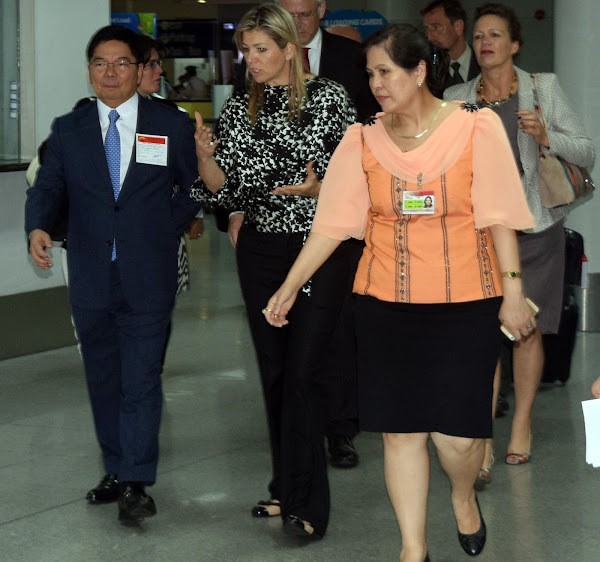 Queen Maxima of the Netherlands arrived in Manila for three-day official visit yesterday evening. The Queen will be in Manila from June 29 to July 1, 2015 to discuss financial services and strategies in the country. Queen Maxima is the chief financial advocate of the United Nations and she will meet with the representatives of the international organizations and private sectors to discuss about finances. Recently, Princess Charlene of Monaco held a informal photoshoot at the residence of the Eze Village (Cote d'Azur) in Monaco. 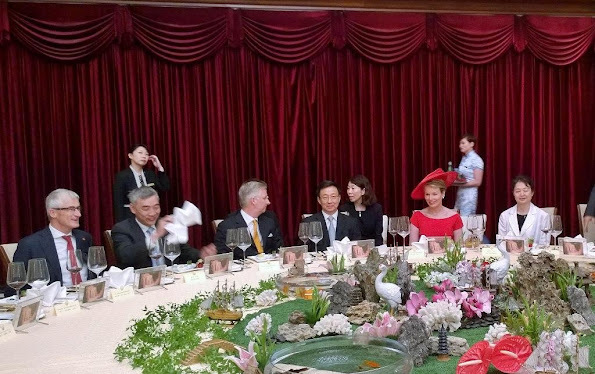 During the photo shoot, the Princess Charlene of Monaco was wearing a flesh-colored top. This was an opportunity for Paparazzi. 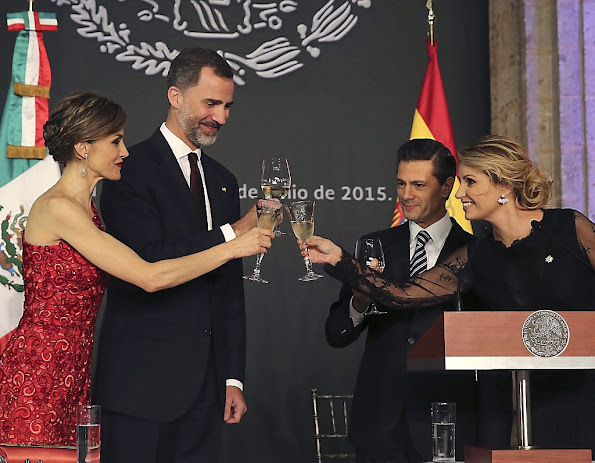 King Felipe VI of Spain and Queen Letizia of Spain arrive in Mexico City on June 28, 2015. 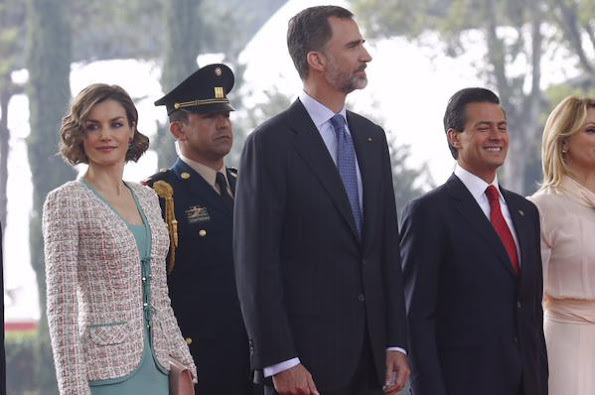 Spain's King Felipe VI and Queen Letizia are in Mexico on a three-day visit. Queen Mathilde of Belgium visits Shenzhen University (SZU) in Shenzhen on the eighth day of a royal visit to China, Saturday 27 June 2015, in China. Charlotte Casiraghi and Gad Elmaleh attend the jumping competition 1.40m/1.45m at the 10th International Monte-Carlo Jumping on June 27, 2015 in Monaco, Monaco. 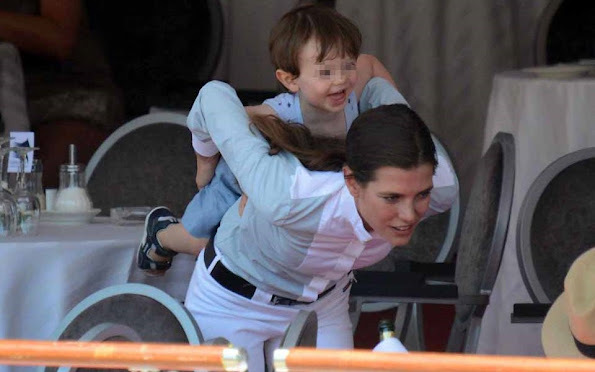 Princess Caroline of Hanover looks at Charlotte Casiraghi and her son Raphael during the 2015 edition of the Jumping International of Monaco horse jumping competition as part of the Global Champions Tour on June 26, 2015 in Monaco. 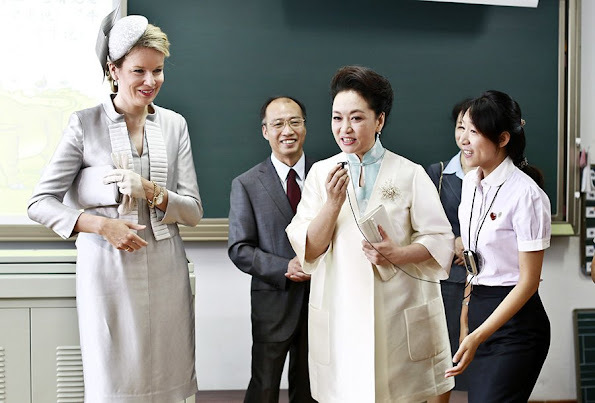 On June 26, 2015, Queen Maxima of The Netherlands as Honorary President of the Platform Ambassadors Music Education made a working visit to the Fontys High School Child and Education in Den Bosch. The Netherlands. 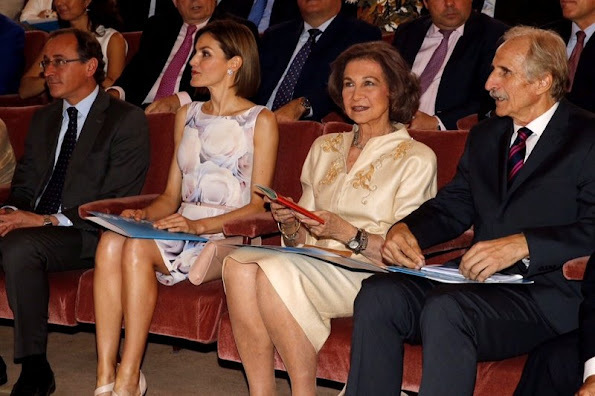 Queen Letizia of Spain and King Felipe VI of Spain attend the 'Forum Impulsa' at the Auditori of Girona on June 26, 2015 in Girona, Spain. 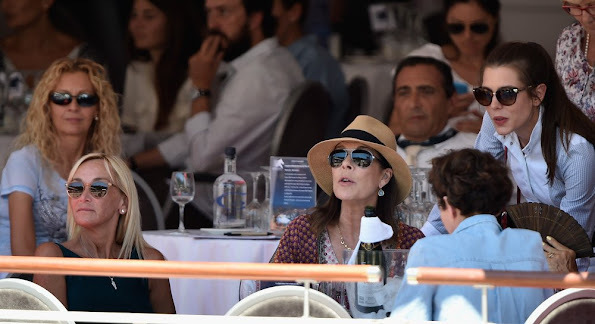 Princess Caroline of Hanover and Prince Albert II of Monaco and Charlotte Casiraghi attend the special invitational competition of the Longines Global Champions Tour of Monaco at the 10th International Monte-Carlo Jumping on June 25, 2015 in Monaco, Monaco. 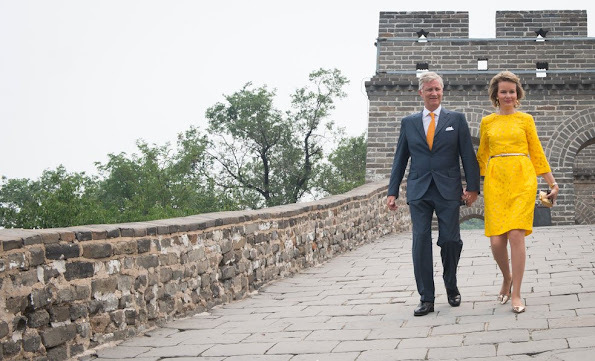 Queen Mathilde of Belgium and King Philippe of Belgium visit Shanghai on the sixth day of a offical royal visit to China on June 25, 2015 in China. 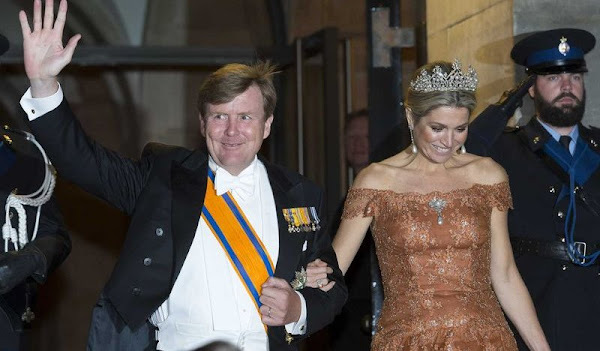 Queen Maxima and King Willem-Alexander, Princess Margriet, Princess Beatrix, Pieter van Vollenhoven held a gala dinner for the members of the Corps Diplomatique at the Royal palace in Amsterdam on June 24, 2015. 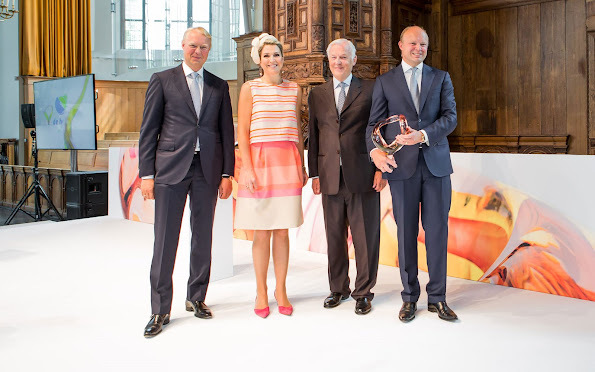 Queen Maxima of The Netherlands attend the 3e edition of the Family Business Award 2015, awarded by the foundation Familie Onderneming, at the Nieuwe Kerk in The Hague on June 24, 2015. The award emphasize the importance of family businesses fot the Dutch economy. 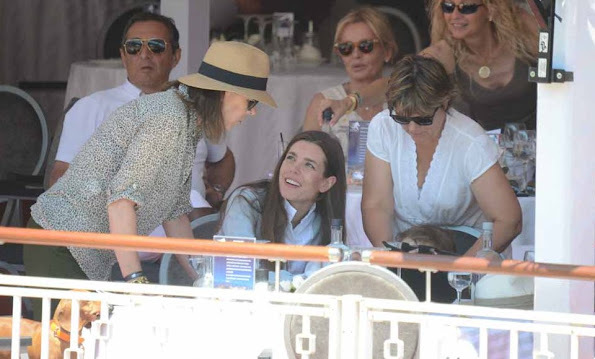 On June 23, 2015, Prince Albert and Princess Charlene of Monaco visited Palombaggia beach as part of Water Safety in the Corsica. 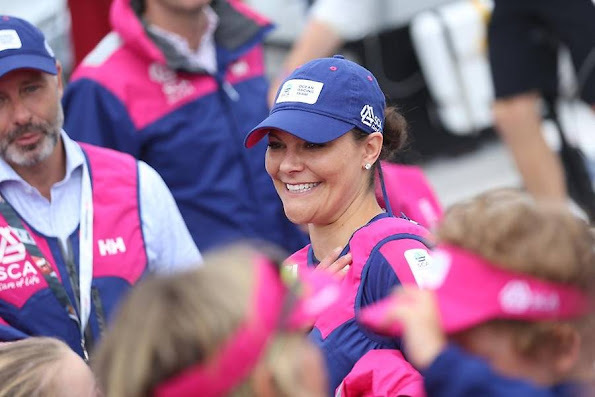 Princess Charlene, taught children about water safety and gave them demonstrations on swimming techniques in the pool and in the ocean. 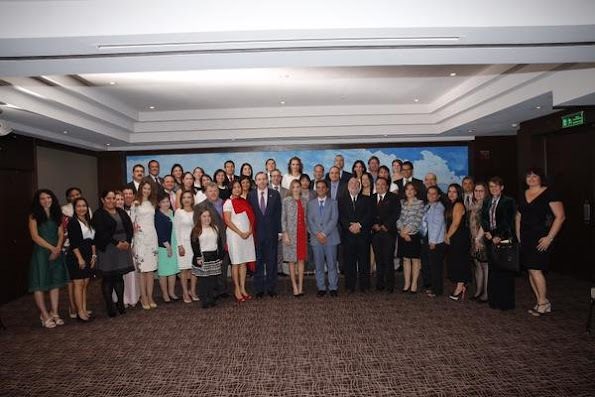 The Princess Charlene of Monaco Foundation aims to promote the practice of sport, as a vehicle for education and development in children. Its main objective is to save lives by combating drowning. 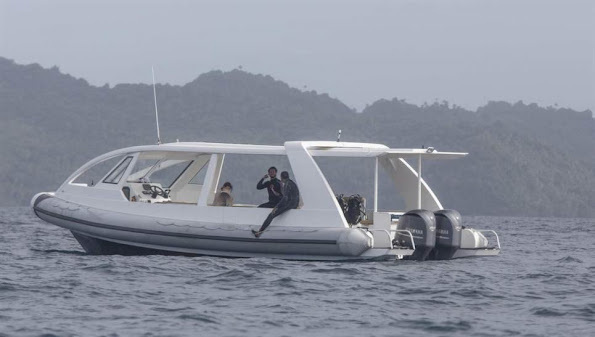 The Foundation has set itself the mission of raising public awareness about the dangers of the water, educating children and teaching them to swim. 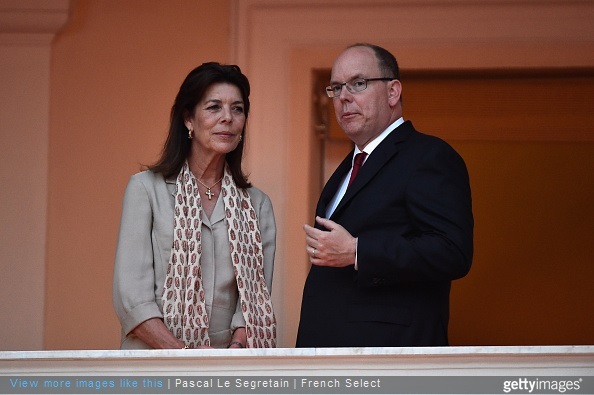 Prince Albert of Monaco and Princess Caroline of Hanover and with her daughter Charlotte Casiraghi and Princess Stephanie and with her younger daughter Camilla Gottlieb attended the premiere of 'Prince Rainier III en Films' exhibition at the Variety Theater on June 23, 2015 in Monaco. 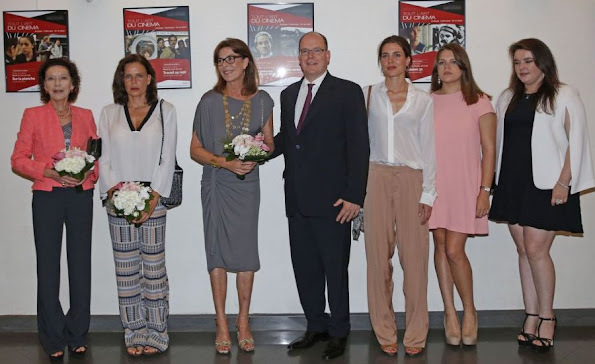 Queen Letizia of Spain deliveries 2015 UNICEF Award to Queen Sofia at CSIC headquaters on June 23, 2015 in Madrid, Spain. 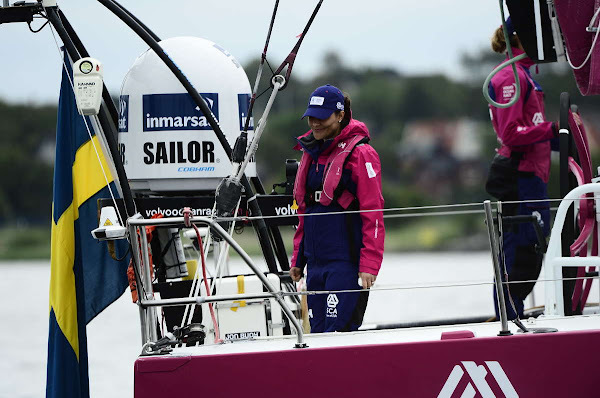 Prince Carl Philip married Sofia Hellqvist in a gorgeous wedding at the Royal Palace of Stockholm in Sweden on June 13, and now the couple is enjoying a romantic honeymoon on a private island in Fiji on June 23, 2015. New Photo of Princess Estelle of Sweden!